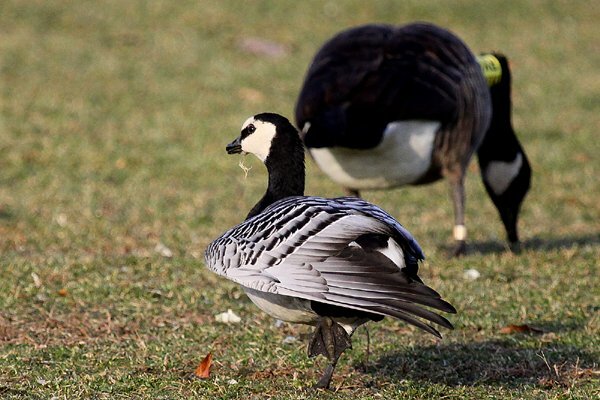 I wanted to add Barnacle Goose to my Bronx County list. Barnacle Geese are inherently cool. It would really grip Mike Bergin off. What’s that you say? You want an explanation for that last one? Well, you see, Mike used to live in the Bronx. Then, several years ago, he absconded to the upstate New York city of Rochester, leaving the Big Apple behind. 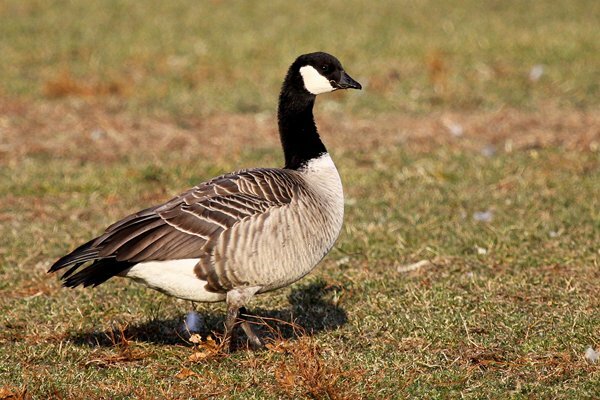 Also, he has never seen a Barnacle Goose. 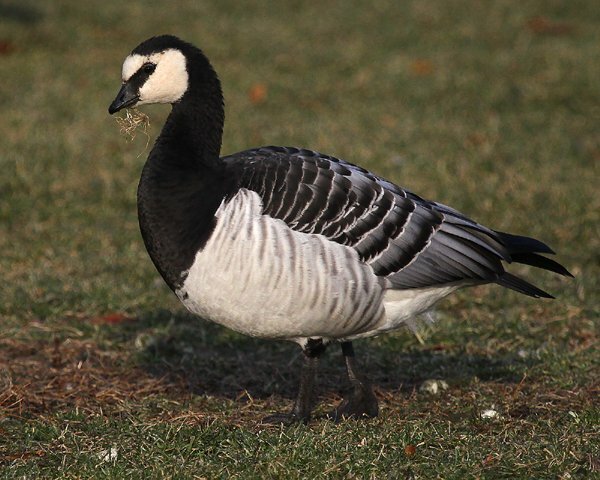 Therefore, going a bit out of my way on Thursday to see a Barnacle Goose not ten minutes from where Mike used to live and then calling him on the phone just after seeing the bird seemed like a really fun way to spend an hour or so in the morning before going to work. Though it looks like it would be easy to find, standing by itself in the grass of the Parade Ground at Van Cortlandt Park, it was actually a bit more difficult than just walking out and finding the bird. The Parade Ground is very big, with dips and hollows that block birds from view. 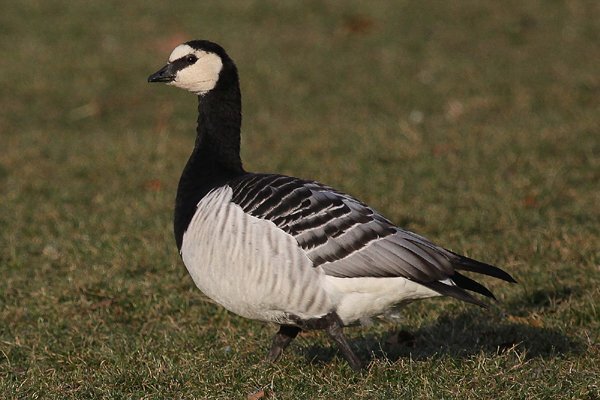 The uneven terrain was inhabited Thursday morning by about 1,000 Canada Geese so the Barnacle Goose, though it looks very different, was still not a total gimme. I had to scan for at least five minutes before I found it! Of course, a full minute of that was making sure that the little goose that I found was actually a Cackling Goose. It was. And my phone call to Mike was fun too. He was not very happy with me. But how could I not share a bird like this with a birding buddy like Mike? I drove over from New Jersey this morning to see the goose. Beautiful bird! Really enjoyed my Bronx expedition. Mike’s not the only person to be gripped off about this. I can’t believe how many Barnacle and Pink-footed Geese have showed up in the northeast the past few years! Obviously, I have seen none. Consider me royally gripped. I can only hope that the goose sticks around until xmas. And that you suffer a series of catastrophic dips.